Designed specifically for the 1/12 Tamiya Porsche Turbo RSR Type 934, our kit offers builders an easy to use contemporary wheel option for their Street and Tuner builds. Our 1/12 scale resin wheels replace Tamiya kit parts L2 and L8 without any modifications to adjacent parts or changes in wheel mounting technique. 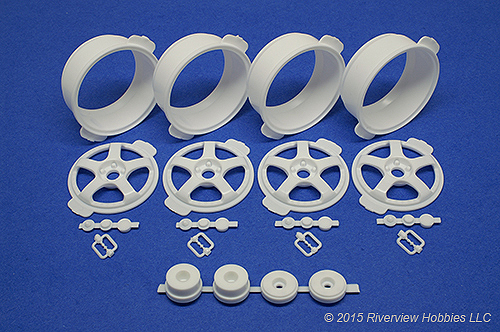 Included with our resin wheel kit are 4 inner wheel sleeves and wheel faces (outer chrome wheel sleeves from the Tamiya kit are required) along with 4 hub adapters sized for the front and rear axles (2 front and 2 rear). Also included are 3 optional resin wheel center treatments; an exposed axle nut, dust cap or full cover center cap along with 4 resin valve stems. We engineer our kits for the best possible fit, finish and scale appearance! 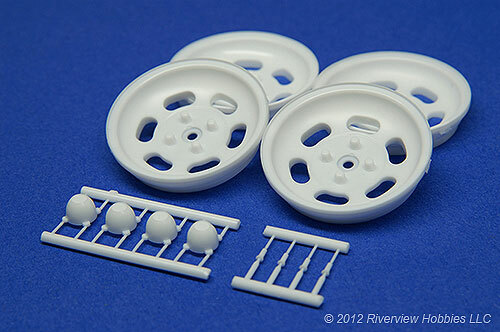 Our 1/12 scale slotted mag resin wheel kit includes a set of 4 wheel faces, center caps and valve stems. 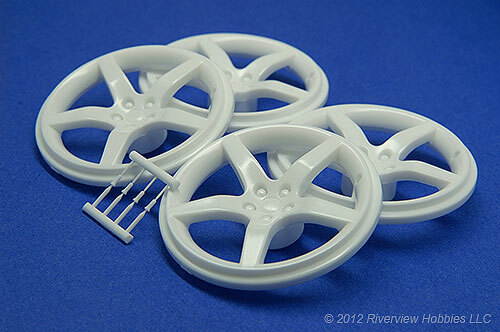 The resin wheel faces are direct replacements for the Tamiya kit part and as such utilize the Tamiya wheel sleeves. Click the image for more product information or for a gallery of our kit painted and installed, click Here. Questions or comments? We can be reached through our Contact page. Inspired by the impressive selection of aftermarket wheels for the Mustang, our 5 spoke 1/12 scale resin wheels are designed to replace the kit wheel faces without any modifications to the kit parts. Each wheel includes a resin valve stem for the valve pocket molded into the wheel. Click Here for a gallery of our 1/12 resin wheel painted and installed. 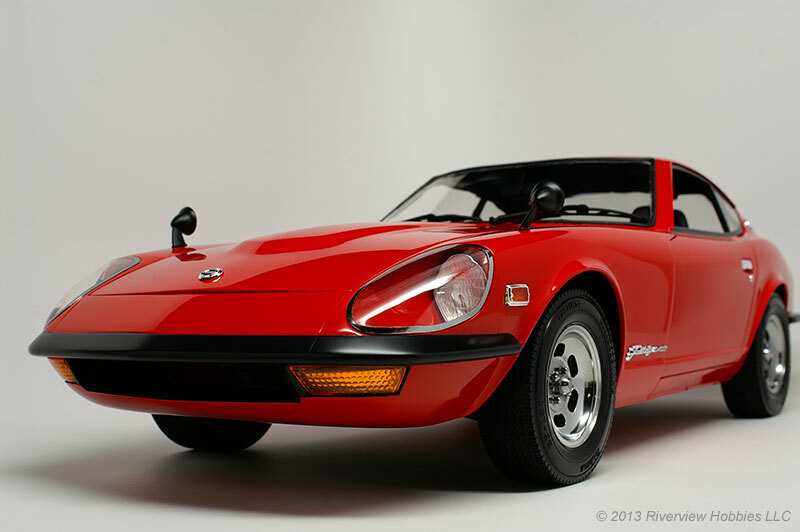 Tamiya 240ZG build featuring our 1/12 Scale Slotted Mag Resin Wheel Set.